British Vehicle Salvage Federation: Businesses and fire and rescue services will benefit from clearer and more consistent enforcement of fire safety regulations. Businesses and fire and rescue services will benefit from clearer and more consistent enforcement of fire safety regulations. Primary Authority enables businesses to form a statutory partnership with a single local authority, which then provides reliable advice and coordinates inspections and enforcement. 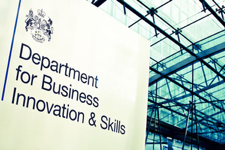 Business Minister Michael Fallon said: No enterprise should be held back by confusing or contradictory advice from regulators. Primary Authority is designed to make sure that hard-pressed businesses know what’s expected of them under the law – and receive clear guidance on how to maintain the highest safety standards. Helen Dickinson, Director General of the British Retail Consortium, said: We’re delighted by this common sense approach, which promotes better ways of working for all involved. The BRC strongly supported the pilot which tested whether this move could work in practice, and which demonstrated that businesses and fire authorities both stand to gain from partnership working. The proposed extension currently applies to England and Wales. Contact Adrian Hall at BRDO on 0121 345 1200. 2.In response to the 2011 consultation ‘Transforming Regulatory Enforcement’ the government committed to pilot the extension of Primary Authority to fire safety. In autumn 2012 two pilots were set up to examine how partnership working could help improve the delivery of fire safety regulation. One of the pilots looked at how Primary Authority for fire safety would work, and a second pilot looked at a non-statutory scheme.